Providing Digital Marketing Solutions for local businesses, Ipswich Town and Waterfront has been a champion for Ipswich as a great place to live, work, study, play and invest since 2013. 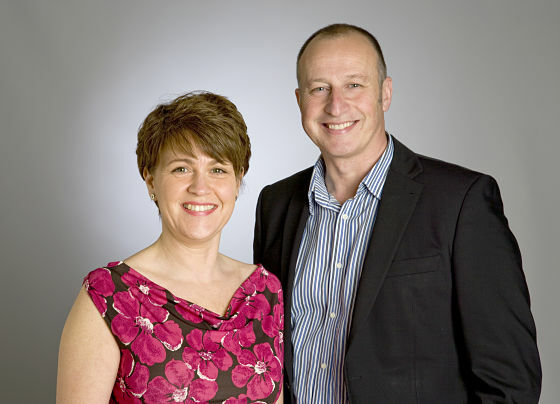 With a passion for promoting independent businesses, events and news, business owners Kevin Barber and Natalie Chaplin have the support of a number of local businesses and organisations with the same values. We spoke to Natalie and Kevin about Ipswich Town and Waterfront, and how support from Nwes through Suffolk Enterprise Centre has helped them to grow. Tell us more about what Ipswich Town and Waterfront offers. We provide digital marketing solutions for local businesses wanting to grow their business online. Ipswich Town & Waterfront is a community portal, and we promote local businesses, news and events, as well as acting as a champion for the town. How did you know that the business would be a success? Our background in business and knowledge of the region has given us a wealth of experience to ensure we are perfectly placed to promote Ipswich as a great place to be. Having gained our first customers before we had even launched, we knew there was a demand for our services. Gaining our first customers was fantastic. It gave us confidence that our business plan was viable and that our online community portal was what people wanted. The highlight is being able to work with so many great local independent businesses, meeting new people, and working on a 1-to-1 basis with many small business owners looking to upskill in a digital world. Now with an additional two employees, Ipswich Town and Waterfront were profiled by The Guardian as a start-up business of the year in 2014, an accolade we are very proud of. We chose to take on a virtual office through Suffolk Enterprise Centre to raise our professional profile. The team at Suffolk Enterprise Centre are incredibly supportive, and provide great administrative support when we need it. Knowing that the Nwes team are there to help with organising room bookings, attending to enquiries, and being a champion for our business has given us a great deal of confidence. Having chosen Suffolk Enterprise Centre over three years ago due to its location and reputation, the business has grown in that time. What is your advice for others considering starting their own business? Do what you love doing – it’s always more fun that way! Have a plan, know where you’re going – and build up a good network with like-minded business people. Having people to call upon in order to share skills and expertise is essential for any start-up.